What chip will your Galaxy S7 or S7 Edge have? 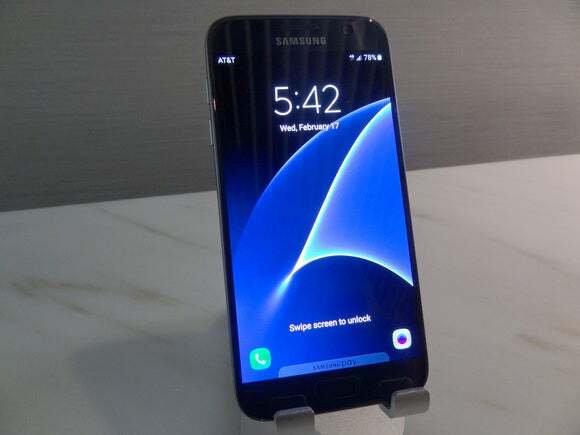 Samsung's new Galaxy S7 and S7 Edge smartphones will sport either the company's homegrown Exynos or Qualcomm's Snapdragon processor, depending on where you buy it. What's the difference between the chips, and which one will your Galaxy model have? If you're in the U.S., it'll be a Qualcomm Snapdragon chip, a Samsung spokesman said, without revealing further details. It's almost an open secret that the chip will be the Snapdragon 820, designed for premium handsets. Countries in Europe and Asia will likely get models with the Exynos chip, possibly the Exynos 8 Octa 8890, which was announced by Samsung late last year. 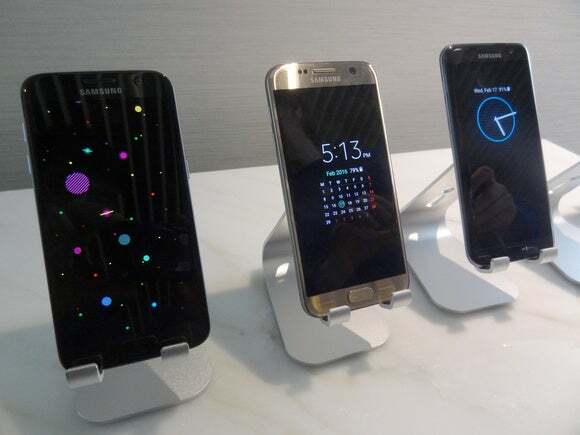 The new smartphones will ship on March 11, and initially be available through carriers. Samsung said it will not sell an unlocked version of the phone, though a spokesman acknowledged some unlocked handsets could be available in the grey market. The Snapdragon 820 has faster graphics, CPU and LTE speeds compared to its predecessor, the 810. Samsung dropped the Snapdragon 810 from its Samsung Galaxy S6 due to overheating issues. The plan to bring the improved Snapdragon to the S7 should close the door on what turned out to be a public-relations hit for Qualcomm. Both the Samsung and Qualcomm chips are top-line processors and offer strong graphics and application performance. Samsung has promised that all versions of the S7 models will offer 30 percent faster CPU performance and 64 percent faster GPU performance than the S6. The smartphones have larger batteries than their predecessors, and the more power-efficient chips should boost run-time on a single charge. The company is using the two chips largely because they have different integrated modems. The Snapdragon 820 modem supports a wider range of bands and runs on older CDMA networks operated by companies like Verizon. The Exynos is tuned for GSM and LTE networks deployed in European and Asian countries. So why didn't Samsung put Qualcomm's chip in all Galaxy S7 and S7 Edge handsets? The homegrown Exynos chip is cheaper for Samsung to integrate in its handsets, said Jim McGregor, an analyst at Tirias Research. Carriers also influence the chip decision in some cases, but the Snapdragon 820 is expensive because it's a premium processing unit, McGregor said. The chips are tied to cellular technology and spectrum use in different countries. Qualcomm's chip is tuned for carrier aggregation in the U.S., in which data transfer speeds could receive a big boost by aggregating bandwidth from multiple bands and carriers. This technology is helpful for dual-SIM handsets with connectivity to two carriers. Samsung's Exynos also supports carrier aggregation, but it is optimized to work on specific networks. The data-transfer rates from the modems are the same, with download speeds of up to 600Mbps (bits per second), and upload speeds of 150Mbps. The Snapdragon chip is more versatile because it is among the first to support LTE-U, in which faster data transfers can take place over both licensed and unlicensed spectrum. The Snapdragon 820 will come in quad-core configurations, while the Exynos could have up to eight cores. The Snapdragon 820 also supports WiGig wireless technology, which is roughly up to three times faster than Wi-Fi in wireless data transfers, but that feature could be shut off so the handsets give customers similar speeds.